Blockchain technology is likely one of the most impactful discoveries in recent history, with the ability to revolutionize industries and fundamentally change the way the world works. Although blockchain technology is a relatively recent innovation, its potential uses and ability to disrupt existing industries are unparalleled. Currently, industries like real estate have very limited adoption of blockchain technology, although home purchases involve a great deal of paperwork and documentation. Through blockchain technology, all documents and transaction records necessary for real estate purchases can be stored with guaranteed security — and can even eliminate the escrow process entirely, replacing it with smart contracts that release funding only when all conditions are met. This degree of impact isn’t unique to real estate, however. Soon, blockchain will permeate and completely revolutionize industries ranging from banking to politics to education. The list of industries below is just a small sampling of the number of ways blockchain technology will change the way the world operates. Banking: The banking industry today focuses on storage and transfer of fiat assets but, despite many efforts by banks to increase and improve security, none can match up to the reliability and inherent security of a blockchain. As a digitized, secure, and tamper-proof ledger, blockchain will allow the banking industry to not only significantly lower risk by keeping records secure, but also reduce the cost and time required to transfer money. This can be done while retaining many aspects of the centralized system by utilizing OPEN Platform’s core infrastructure, which enables sharding of transactions across an interoperable blockchain network. Healthcare: Medical records and data can mean the difference between life-and-death in the healthcare industry. Currently, many healthcare institutions suffer from an inability to securely share these medical records between themselves and across platforms. Using OPEN’s off-chain and on-chain constructs, these records could be treated as transactions and stored on the blockchain. This would mean secure and quick transfer of medical records and documents, allowing patients to get more accurate diagnoses and effective treatments. Education and Academia: By utilizing blockchain solutions in the education industry, academic credentials would no longer need to be verified manually, through paper documentation. Instead, verification could be instant and secure. Treating each document received as a transaction and using OPEN Platform’s infrastructure, documentation could become decentralized and secure, while retaining the present centralization in academia. Sony Global Education and IBM have already partnered on a new platform using blockchain to store student records. Law: The legal industry, much like education and healthcare, involves a great deal of verification of documents and data. Implementation of blockchain technology to store records (such as wills) will allow for rapid and secure verification, with any changes to the documents being recorded on the blockchain. The documents can be easily accessed by law firms and legal agencies, as OPEN Platform has implemented communication between data on the blockchain and centralized systems. As a result, many legal issues stemming from conflicting documentation will be eliminated entirely. Retail: Currently, retail consumers can only purchase from marketplaces that they trust, explaining the popularity of a few key marketplaces like Amazon. Through blockchain, that trust could be decentralized and focused more on individual sellers, rather than marketplaces themselves. Furthermore, all objects stored on the blockchain, such as the seller’s reputations could easily be accessed by auditing agencies, using OPEN Platform’s core infrastructure. And this is just a start. Blockchain technology will affect almost every major industry and we at OPEN are excited to increase adoption of blockchain technology moving forward by making cryptocurrency transactions easy and widespread. The immense potential of blockchain technology to create a better future is well-known to the OPEN Platform team. 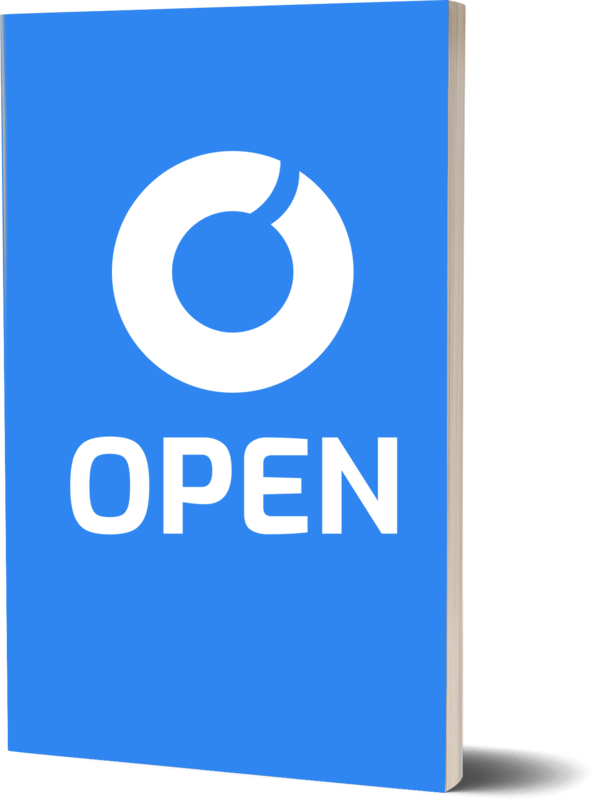 OPEN envisions a world in which all applications accept cryptocurrencies as easily as they do fiat currency. This is why we are working hard to aid in the widespread adoption of blockchain by making cryptocurrency transactions available to everyone through the OPEN Platform, the world’s first blockchain payment-processing solution. OPEN Platform enables developers to deploy decentralized applications that remain as functional as centralized systems. We can do so utilizing a set of off-chain APIs and on-chain constructs, such as our interoperable on-chain Scaffolds, our high throughput OPEN Chain, and our innovative Blockchain Load Balancing Protocol. Using this core infrastructure, data from the blockchain can now communicate with centralized databases in a scalable manner. This is enabled by sharding transactions across an interoperable blockchain network, which has the added benefit of allowing developers to integrate the blockchain within their applications with ease. By design, the OPEN Platform API is extremely easy to integrate into both decentralized and traditional applications. As applications continue to integrate the straightforward API, more and more people will be able to make payments using cryptocurrency, enabling increasingly rapid growth of blockchain technology adoption. To advance that goal, OPEN has remained consistently ahead. OPEN launched our scaffold generator infrastructure back in March of 2018, far ahead of its estimated timeline. We’ve also gone ahead and released the scaffold generator API far in advance and have stayed ahead of our technical roadmap. Developers can utilize the API right now. The OPEN Team is working day-in, day-out, to advance blockchain technology. The future is blockchain. The future is OPEN.